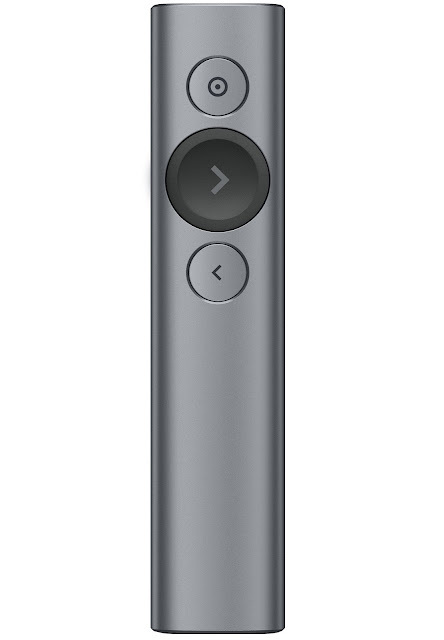 Logitech announced a complete reinvention of presentation control with the Logitech® Spotlight™ Presentation Remote. Unlike the traditional slide clicker or laser pointer of the past, Spotlight is designed to help you become a more confident presenter. Spotlight is an advanced tool that goes well beyond laser pointing, and enables you to highlight and magnify on-screen content in an engaging and powerful way so you can better underscore your point. According to research conducted by Ipsos Marketing on behalf of Logitech in 2016 with more than 6,000 people in UK, Germany and France, 65% of Brits say presentation skills are extremely or very important to their job or studies, and with 26% presenting at least once a month, the “art of presenting” is more relevant than ever. Spotlight is a new standard in presentation control. It allows you to effortlessly navigate slides and interact with on-screen content from up to 100 feet away. With the advanced pointer system you can highlight and magnify points on your slide in pixel-perfect detail, so the audience stays engaged throughout your talk. Spotlight also has mouse-like cursor control to play videos and open links, and unlike a laser, the cursor and highlights are visible to both a live audience and those on a video conference. Spotlight pairs with a powerful app so you can set the stage even before your presentation begins. In the app you can toggle pointer mode, set timed vibration alerts or activate more advanced functions like volume control with hand gestures. What’s more, the app will be updated with additional features over time, so you’ll always have access to the latest in presentation functionality with Spotlight. Logitech Spotlight also connects instantly via USB receiver or Bluetooth® Smart technology. It is plug-and-play on most devices and compatible with all popular presentation apps. Plus, it features smart recharging – one minute of charge gives three hours of use – so you will never be caught off guard. Logitech and TED plan to launch a worldwide search for aspiring communicators who will be invited to participate in an exclusive Spotlight Presentation Academy at the TED Theater in New York. Armed with a Spotlight presentation remote, attendees will have the opportunity to work with industry experts to enhance their presentation skills. Through this program, the two companies aim to inspire and support communities of presenters and idea-sharers worldwide. More details regarding the search will be announced in the coming weeks. 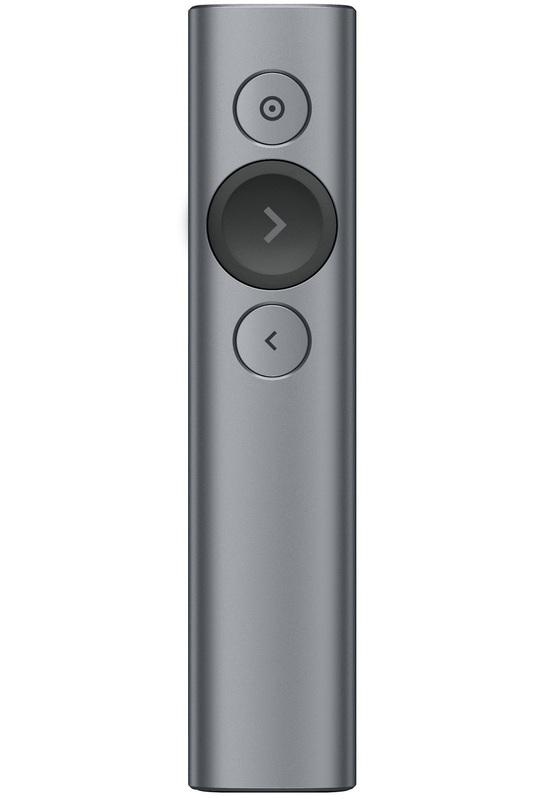 Logitech Spotlight Presentation Remote is available mid-April from Logitech and Apple. For more information about the product’s features and functionality, please visit Logitech.com.